A+ Accredited business coach / career coach with the Boston Better Business Bureau! ... on LinkedIn, the Boston Better Business Bureau and Yelp. All of the reviews you see here are from real clients. Verified by institutions like the BBB or Yelp or you can contact the person who wrote the review directly. 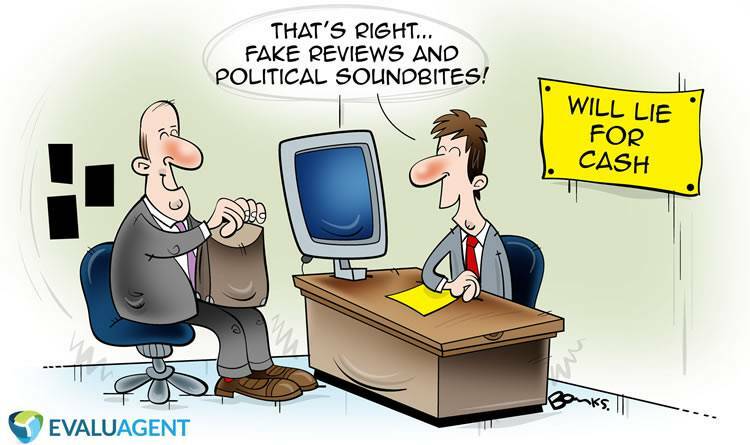 Beware: many reviews on many sites are simply made up! Coaching reviews for True Azimuth are not made up! As you read the reviews about career and business coaching with Scott Graham, Just imagine what you could achieve. Call him Scott Graham today at 617-475-0081. I reached out to Scott during a challenging time. I was feeling overwhelmed managing my professional responsibilities and my work-life balance had shifted to a level that I was uncomfortable with. Scott helped me identify the key items that were causing most of my struggles, and guided me through an action plan to address these items head-on. Scott held me accountable on my progress and provided me with valuable tools and insights that have made a big impact. With Scott’s assistance, my work-life balance has improved significantly and I have a much more positive view of my long term career path. Scott is extremely knowledgeable and I would highly recommend Scott’s services to anyone struggling to gain traction on creating and achieving their ideal state. Thank you, Scott! Coach Scott has been a great help in my personal, career, and business coaching, offering timely insights and supportive materials relevant to my areas of focus. He is able to hold focus on any particular area. He is great with motivation. He makes an efficient use of time -- he wants to know what is going to be most helpful. He is invested in you making process. He is insightful -- he brings in and shares his personal experiences -- it might not be helpful for other people but it is really helpful for me. He offers a lot of great supportive information -- he just doesn't offer his advice he tells you about books that he has read that is supportive and useful that the person might not have found elsewhere. He is able to detect where a person is getting hung up and can make suggestions -- out of experience -- are you getting hung up because of A, B or C.
He is sensitive but really down to earth -- which really increases the comfort level. Scott sends meeting notes immediately after any session, reiterating discussed points and suggestions. That is a really strong component. I don't have to take notes during our calls, and I can easily go back and review those. My progress does not begin and end with our sessions. He has a private client website with a lot of resources, worksheets, eBooks, surveys. Scott knows that being coach means more than holding people accountable: being a great coach means getting clients past the roadblocks which have stopped them before. Whether the obstacles are choices involving tech info, software, vendors, industry background or those debilitating chicken-and-egg questions about what to do next, Scott is my guide. I chose Scott to be my coach because of certain skills in his background, and how they dove-tailed with what I was trying to accomplish. What I didn't realize was his unique ability to slice through procrastination, run a smart business, and efficiently network. If you want a coach, no one gives you more bang for the buck. For the longest time, I had been sitting on the idea of starting my own coaching practice. I had been practicing mental health and addiction counseling for over twenty years and had even been using coaching techniques to help my clients solve their mental health and addiction problems. I knew how to coach people. The problem was I didn’t know the first thing about starting or running a business. I was stuck. Then the obvious answer dawned on me. I’ll hire a coach myself. Then something unexpected happened: FEAR! I knew that one of the many things coaches do is hold their clients accountable. If I hired a coach, I’d actually have to start the business. And that would be hard work. Hearing those thoughts, I realized that I’d never do this without the help of a coach. So I picked up the phone and made the call. That phone call turned out to be one of the best things I’ve done in a long time. Not only has Scott helped me design and implement my business plan, marketing strategy, website, LinkedIn account, you name it, he’s held me accountable just as I feared he would. I can tell you for certain, I would never have started my coaching practice had I not made that phone call. If you are a therapist thinking about starting a private therapy or coaching practice, you would be crazy not to hire Scott. He can help you with everything you need to learn and do in order to start and run your own private therapy or coaching practice. Scott Graham and I starting working together soon after I abruptly quit my job. I was referred by a friend who highly recommended Scott for the work they have done together. Scott is tremendously insightful, resourceful and motivating. My career transition has been helped by his positive feedback and ability to quickly grasp my point of view and approach to new opportunities. I am not one to procrastinate. So, what Scott has done for me was keep me on track and assist with reality checks - the 10th day call is a great goal - set to keep my progress moving forward and our great conversations are ample reward. He always provides his undivided attention, is always focused and on-topic. He hasn't let me deceive myself with doubt or embellishment for a moment. I am on the track that is right for me and grateful to Scott for his encouragement to get here and beyond. He is a great Coach! Coach Scott and his MasterMind group has been very useful for my personal business growth. He has an understated way of leading discussion and guiding the group that brings everyone into the conversation. This way advice and ideas come from a variety of people and Scott clarifies it into items that can be acted upon. He then encourages you to make commitments to various actions. The commitment comes from you and Scott looks for ways he and the group can support you in what you are committing to do. This accountability is one of the most important things I want in a coach or a group. If I didn't want support I wouldn't have a coach. Coach Scott is just what I want in a coach. It is my pleasure to write this letter of recommendation for Coach Scott Graham. If I was writing a review of Coach Scott for Amazon he would be getting a 5 star rating. His approach to coaching is respectful and insightful. He took the time to get to know me, my business and my goals. He has helped me get my business back on track. More importantly, he has helped me rediscover the joy the business brings to my life and the important contributions it makes in the lives of others. Unlike many business coaches I have encountered in the past, Coach Scott spent the initial consultation getting to know me and my unique business. Instead of trying to sell me on him and his talents he focused on telling me about the strengths saw in me. I also so very much appreciate the fact that I never felt like Coach Scott is watching the clock during our consultations. I know going into our meetings that he has taken time to prepare, he has carefully reviewed the prep sheet info I have sent him, he has taken time to research web sites I should check out, classes I could take, books that are applicable to my business. It is obvious that he takes time preparing the “ecap” reports of our consultations; they are very complete and helpful. I especially respect the fact that he is available to me between scheduled consultations, and I don’t need to worry about getting an outrageous bill. If I have a question I want to run by him he is a phone call or text message away. If I need someone to review a document he is quick to offer helpful comments and suggestions. When I sat down to write this I was prepared to say that Coach Scott’s best attribute is his ability motivate and empower me. While these skills are a great asset to our relationship, I think the best thing Coach Scott has been able to do for me is to ask questions that cause me to look deep into myself and my business. One of the questions Coach Scott asks in preparation for our teleconference is “what am I grateful for.” It is an important question as we often overlook the gifts that fill our lives and focus on the problems and conflicts. I for one am so very grateful for my relationship with Coach Scott Graham. It has made a positive impact on my life and my business. I am happy to give him my highest recommendation. What sets Coach Graham apart from other Business and Executive Coaches that I have worked with is his unique leadership style. Coach's way of teaching is authentic, genuine, straight forward and right to the point. During our first phone session in which we discussed completing my Masters License in Alcohol and Drug Counseling he said, "do not complicate matters and take this one step at a time". His words set me at ease. Completing my licensure was something I was struggling with for years. Coach Graham immediately sent back our session notes for my review. I was amazed with his efficiency. He responded in a timely fashion to my correspondence and always went above and beyond the call of duty! Coach Graham made me feel confident that I could do this. Coach said, "you already passed the exam - the rest is simple". I had a fear for many years and kept talking myself out of completing the application. Coach gave me the confidence that I needed through his advice and guidance and told me that, "you do it the way you would eat an elephant, one piece at a time". I fully and wholeheartedly recommend Coach Graham. I know he will provide excellent services!!!! Thank you Coach Scott Graham for being there! I worked with an amazing LinkedIn coach Scott Graham from True Azimuth. I spent only a few hours with him and received a wealth of information. He is truly an expert of LinkedIn as well as marketing in general. We were able to set goals for LinkedIn in order for people to find me, maximize my professional information, learn how others use LinkedIn and for what purposes along with much more. He was able to give me a lot of tips, tricks for utilizing LinkedIn to its full potential. I learned to manage contacts, connect with people and stay connected. LinkedIn can be a great way to get to know people more through a more professional intimate setting. Finally Scott Graham followed up with me several times and sent me some tools to ensure my success utilizing the information he imparted. I received a goal planner tool and a focus list of the information. In short Scott Graham is your best resource for those on LinkedIn to grow your career or business. Talk to Scott soon, don’t put it off for another minute. When Coach Scott Graham offered me a free thirty-minute coaching session around the book "8 Dimensions of Leadership," I was skeptical - not skeptical that I could use some help, but that the help from a business coach would be anything more than cheering from the sidelines. I was also put off by the word "leadership." I'm building a business as a solo entrepreneur; I don't need to lead anybody but myself. And could there be only 8 dimensions of leadership that I would somehow neatly fit into? If I hadn't already heard several good testimonials for Scott's coaching, face-to-face from people I trusted, I would have found a polite way to say no. Now I'm very glad I didn't. For one thing, the book was a quick read, but the theory behind it rang true. There was enough correspondence between what I already know about myself and what I got from the assessment, that I felt comfortable with the suggestions that came directly from the book. It all made sense. And Scott's phone call counseling session turned it into achievable goals. "Okay, but how am I going to get there?" became "Okay, I get it: I can do these three specific actions." Scott focused on me, my personal style, and my challenges. He asked questions that led me to find my own ways to build on the strengths I have. He took me to the edge of my comfort zone, but he didn't leave me hanging. And he really did do it in about 30 minutes. Now I'm now trying to figure out how to fit one of his "tune-ups" into my schedule and budget. I did a free coaching session with Scott. At the end of the call, Scott came up with an assignment for me to do in the next 24 hours which he tailored just for me based on what he heard me say during our free coaching session. It was very helpful and really got my creative juices and motivation flowing! Even while I'm contemplating whether coaching is right for me at this time, just this one free session lit a nice, jump-starting fire under me. I definitely like the approach Scott uses by giving someone a free coaching session to, as he calls it, “take your coach for a test drive.” You get something of great value and, at the same time, have the freedom to hire him for additional sessions or not. It's totally your choice and he does not sell you a bill of goods. It's the real deal. You get Scott’s best coaching and you get a real sense of what it's like to work with him. I have only just begun to work with Scott; however, our first "free" consultation truly was free and very productive. Following our initial half hour phone consult, Scott almost immediately provided an "e-cap" or written recap of our time and discussion. This e-cap also provided very specific actions items and a recommendation for moving my business forward. I was very impressed with our initial meeting. This is what I needed to sort through the myriad of items that need addressing in a start-up business, especially when undertaking the entrepeneurial road alone. I have known Scott Graham since 1996 when I worked in the ISAP Program (Intensive Substance Abuse Program) through the Vermont Department of Corrections. I have interacted with Scott in numerous arenas from program design (via the Department of Corrections) to counselor certification and licensing (via the Vermont Alcohol and Drug Abuse Counselor Certification Board) to participating in clinical trainings (via True Azimuth, LLC). Scott has a great deal of knowledge and insight with regard to addictions, working with offenders and complex systems. As a trainer he is well organized and timely. More importantly, his presentation style is quite personable and he has a keen ability to keep the training content pertinent to people's every day work while challenging participants to think beyond their thinking patterns and assumptions. I my option, Scott is a certified "VGN" -- that's a "very nice guy" -- and if you have the chance to work with him (as a trainer, clinical supervisor or coach) you should definitely go for it. I completed Scott Graham's class "Effective Workplace Communication" at Community College of Vermont in the Spring of 2007. Scott emphasized individual development as well as organizational effectiveness, and provided students with a toolkit of valuable resources. Practical activities and group exercises were employed as well as individual assessment tools such as the DiSC profile and Personal Listening Profile, both invaluable to me as a public relations professional. Scott is an engaging and dynamic instructor and speaker who is actively invested in personal growth and development of his students. I worked with Scott in 2008 and received invaluable career advice. He helped me clearly see obstacles, opportunities and solutions and provided me with the tools and tactics to focus on the right thing, at the right time, to get the right results. Scott is a creative and spirited consultant and coach, instructor and guide that I highly recommend! Scott's Motivational Interviewing seminar was very insightful to me as a psychotherapist, and his hands-on exercises brought the framework to an experiential level, showing me aspects of being both therapist and client. I have used the techniques more concretely since this training, and found them helpful to myself and my clients. Scott's delightful sense of humor kept the day entertaining as well. Wow! Coach Scott Graham is awesome! One morning last week I went to the gym to work out and I realized as I walked in that I was feeling pretty good. As I started working out, I realized that something was very different. The weights I was lifting seemed about 25% lighter than usual. "What’s up with this"? I thought. This is good. What have I done different that would cause this? Had I eaten different foods? Not that I could remember. Was I more rested than usual? No, that wasn’t true. As I thougt it through I realized that the only thing that was different was my elevated mood. Cool, I thought. But what was the cause? Then it came to me. In attending Coach Scott Graham’s mastermind group, I was reading “The 28 Laws of Attraction” and that and the group discussion was making some very important positive changes in my life. Also I had hired Scott to do a business tuneup that was helping me to be much more efficient in my work. All that had led to elevated mood and had made me stronger. Thank you Coach Scott for making this huge improvement in my life. A few years back I was able to take the DISC profile assessment. It helped me understand how my colleagues and other co-workers perceived day-to-day interactions based on their personality profile. I was able to communicate more effectively and build stronger working relationships. The profile assessment was an effective tool in helping relieve the tension and frustrations I was feeling before hand. I would recommend all professionals utilize this program in order to help their staff learn how to work as a team. Most businesses probably go to Scott to develop strategies on how to improve their Quick Ratio or Current Ratio. They over look a key skill that can help strengthen the foundation to the successes in building relationships amongst the company staff. Bring Scott in to provide your company with group facilitation around any topic, need and you will be amazed at the results. He is extremely talented in bringing a team together as one! Scott has skills and personality to facilitate group activities to help build a team, help people give honest communication unladen with emotional criticism and help people be receptive to feedback. He is truly the most amazing person and we at Henderson's are so thankful for what he has instilled in our company! And yes, he will always be the person we hire to work within our organization. I "found" Scott while looking for ways to improve my clinical skills. I am a Licensed Clinical Social Worker as well as a Master Licensed Alcohol and Drug Counselor. Scott has a blog focused on clinical supervision in addition to his life coaching blog and I subscribed to it. When I found myself promoted to Clinical Director, I knew I needed something more in order to be an effective clinical supervisor -- something more than a focus on direct practice. The challenge for any clinical director lies beyond insuring the clinical integrity of a counseling program. That's easy. The real challenge lies in your effectiveness with managers and staff -- motivating them, helping them problem solve and helping them grow in their career. Scott has helped me transfer the skills I already have mastered with clients to the managers and staff I supervise, stakeholders outside the organization and even personal relationships. I like that Scott calls me on my "stuff." He plays an active role in my professional development and doesn't just sit back. I like that Scott gives me homework to focus on in-between our clinical supervision sessions. It is not just a once-every-10-day-chat. If you are a clinical director or clinical supervisor, I would heartily encourage you to work with Scott. It is a heavy load being responsible for the clinical integrity of a program and a group of counselors. With Scott, it doesn't feel quite so heavy. I hired Scott as a mentor coach during my coach training course in 2012, and over a short period of time came to appreciate his many talents. First, he did not charge an arm and a leg for his services like most established coaches have a tendency to do to new coaches. Second, his calming nature would immediately put me at ease during each session so I was better able to deal with the stresses associated with holding down a full time job, while starting my own business, and maintaining a positive family life. Third, I was impressed that he seemed to intuitively know when to “nudge” and when to “back off” and allow me time to catch up if need be. Finally, I was constantly amazed during each session with the amount of assistance and information he provided to help me start my business and become a better coach even though we are in the same business so to speak. I was looking into career coaching when I ran into Scott. I was hesitant to accept his free session as you know the old saying about things that are free. I was assuming I would get a live sales pitch. Well, not so. Scott spent a few hours with me on the phone and via email and it was an honest and thoughtful coaching session. He gave me deep insights into what coaching was all about and into myself. Scott has gone above and beyond as a coach. He is always over delivering in every area. It is refreshing to work with someone that is dedicated to their client's success. He even takes calls on the way in to surgery! Overall I would recommend Scott for any person looking for personal, career, or business coaching as he focuses on key components of growth ... identifying the goal and plotting a course to get there. Scott and I just finished a 3 month coaching commitment. Having developed and coached several work place teams, as well as Hanover youth hockey teams for the last 20 years, I know a little bit about the subject. I contracted with Scott as I was about to launch a new business and knew that he could help with the process – little did I realize how much. Good coaches come with a few special traits – they re good listeners, they are good teachers, they are patient, they give you a little bit at a time rather than the whole magilla at once, they build your input into the finished product, they praise as well as constructively correct, they encourage you to do your homework AND they make it fun. I have only met a couple of good coaches in my first 72 years, and Scott Graham is definitely one of them. I had free initial consultation with 4 career coaches and Scott was by far the best. We immediately established a rapport and he was low pressure. He was focused on my problems and asked really precise questions. I also got a free coaching session that clarified some questions I was trying to figure out. I recommend Coach Scott. He came along when I was feeling overwhelmed, but our first conversation made me realize that there ways to feel less overwhelmed and that he could help me find them and do them. It was immediately freeing. He and I set goals and a timeline to get them done. I realize that facing issues is easier in the long run than avoiding them -- they become bigger with avoidance and affect so much of your behavior. Life is ever-changing and requires many new directions and insights. I've learned a lot, with Scott's help. I'm grateful to have found him! Thanks, Scott! I have chosen Scott because he actually took me through a session with him to see what coaching was all about. He was the only one I met who said the first "session" was free and it was really a session. I found during that session Scott was very personable and non judgemental. He was focussed on helping me get to where I wanted to go while at the same time made me feel listened to and understood. I wasn't sure at all about health coaching with Scott Graham. So I decided to take him up on his 30-day Health Tune-up to see how he works and what I would gain from coaching, if anything. During my 30 days with Scott I expected a taskmaster and instead received real support along with simple, straightforward advice that I put to use starting day 1. With Scott's guidance we created a step by step plan for 1 and 2 week intervals with realistic goals. The metrics came after implenting the plan and achieving the base goals. For a person like me that looks at time and goals in a linear way this approach proved that I could get started back to the way I used to feel years ago. Scott proved to be exceptional at understanding both my issues and goals. As he has known me for over 2 years in a somewhat personal capacity I could sense his caring for my well being and to see me get back on the right track to better health. His use of various checklists allowed me to focus on more specific health and life goals which I am using even after the 30 days of coaching ended. I was so pleased with the results I got, I decided to continue to work with Scott past the initial 30 days. Scott is not a "rah-rah" coach. He helps you get motivated by helping you to connect with what you want and value. That's a much more lasting source than "rah-rah" cheer-leading. If you want someone who can motivate and inspire you by helping you tap into your own motivation and inspiration, call Scott today. Someone once told me there are two types of people in life: those that play in the game and those that watch on the sideline. When I initially contacted Scott Graham, it was because I needed a prep plan and test taking strategies for a licensing exam. That's all I wanted. That is all that I expected. I was a "side-liner." Sure I had a lot -- very successful in some people's eyes. I thought I had everything -- and my use for Scott Graham was merely pragmatic -- to help me pass an exam. Years later, I left my old dead-end job, I am running my own business with enviable contracts, have a stronger more intimate relationship with my husband, have returned to graduate school for my CAGS, engage in a regular meditation practice (he talked me into going to a Vipassana Retreat like he does -- then my husband went -- then the rest was history), do trainings and public speaking -- the list goes on and on and on and on! If you had come up to me a few years ago and said, "this is where you will be in a few years," I would have fallen on the floor laughing in hysterical disbelief. My profession is counseling and am amazed at the growth I have made. I am now fully playing on the field! If you want more than you bargained for, want to grow more than you think is possible, want to be somewhere in a few years that you can't even imagine is possible today -- call Scott Graham. He has the skill and experience to help you get where you need to without sacrificing balance and equanimity. I took Scott up for the free 30-minute leadership coaching session to debrief "The 8 Dimensions of Leadership." I took the profile before our call to focus on what chapters to read in the text. I said to Scott at one point during the call, "Boy, you sure are pushy." And he is just that -- he just doesn't want to talk to you about what you learned he wants to know what you are going to do about what you learned. And won't let you off the hook until you identify what exactly you are going to do based on what you learned. So if you need to be pushed in the right direction (and who doesn't? ), Scott's your man. Like me, you'll be happy you took advantage of his free coaching session. I recommend him very highly. When I thought of doing legacy planning for my business, the last profession I thought of was a professional coach. The very last. I mean, what do these people do anyway? Talk to you and make you feel better? Not what I needed. Pragmatic results. I needed to make a decision on what to do and there was no way some touchy-feely-would-be-counselor-turned-coach would help me. Then a friend introduced me to Scott Graham. Professional. Knowledgeable. Skillful. I decided to give it a try. Working with Coach Scott has been – well – in a word – amazing. I got so much more than legacy planning. In addition to reaching a clear decision on how to pass on my business, Scott helped me forge stronger relationships with my family, he engaged with me to create a system for my business so I am managing the system and not the product, he helped my employees become more focused on their strengths, communicate better, work more effectively with each other and produce more. Armed with information, resources and DiSC profiles, Scott gave me more than I had thought possible. I don't know if I would recommend a “professional” coach to others (I still think many are touchy-feely-would-be-counselors or do-as-I-say-consultants) but I would enthusiastically recommend Scott Graham. Call him if you want someone who brings it on and over-delivers! I hired Scott after a bit of research on the internet for business coaching. I chose him initially after reading Scot's thorough description of his capabilities and accomplishments. In the initial session Scott made me confident in my choice and in the first hour I was able to clearly focus on the things I wanted to accomplish next. I will continue to work with Scott and he comes highly recommended to any looking for business or personal coaching. I got so much from coaching with Scott. I had gone to a therapist when I was younger and I hated it. Hated it. So I was really skeptical that coaching with Scott would be just like a therapy session. I was very, very skeptical at first that really anything would come out of it. I am a talker, so it helps me to talk to a neutral party and just get completely neutral feedback and fresh ideas. That's what coaching with Scott is like. And I think it is easier working with Scott because it is not just me spilling out my feelings. We talk about ideas of things I can do about things and set a plan for me to do something. Anyone who is stuck should consider working with Scott. You know, people who just can't get out of their own way and are just stuck in what they are doing and can't really see on their own a way to fix it. That's how I used to be -- I couldn't see a clear way to fix things -- and Scott helps me see other ways to look at things. .. I was in my own way. But not anymore. Masterminds has been a very rewarding experience for me. It is the only time in my career where I felt comfortable exploring myself and the world alongside other professionals and felt safe. It is fascinating how the exploration of one book can result in so many perspectives, allowing you the opportunity to engage on an even deeper level. Scott is an excellent “guide” with a compassionate but firm hand on this journey of self-discovery. I have been a member of the Mastermind [business coaching] Group for many years and have found it to be extremely helpful not only professionally but both personally. Scott keeps the group focused on supporting each other AND holding each other accountable. I think this group is an especially good resource for solo entrepreneurs -- we do so much alone -- it is great to have a group of people with whom you can consult, grow and develop. Scott has what it takes to help someone get, as he calls it, "unstuck." In fact, I would say, although Scott brings a diverse array of knowledge to his coaching clients (MS in Business, QuickBooks ProAdvisor and NFPT Personal Trainer to name a few), it his ability to help people who are "stuck" that is his greatest strength. This is no doubt a reflection of his counseling skills. If you have an opportunity to work with Scott, either as part of a group like the Mastermind or as an individual coaching client, seize it! If you are like me, you will get much more out of it than you initially thought you would. I absolutely know that coaching with Scott will not only make you a better entrepreneur but it will make you a better husband (or wife) and a better person. I accepted Scott's offer of a free half hour coaching session with hesitation but am truly glad I did! What could I get out of talking to a total stranger for 30 minutes? How could I explain my dilemmas in that short amount of time, let alone have him listen and offer suggestions. Scott was easy to talk to, understanding, insightful and offered very attainable ideas. I am hoping to be able to talk with him again! I was a substance abuse counselor working with young adults at an inpatient treatment facility in Vermont. Scott was one of our out-of-house clinical supervisors and we developed a professional relationship. I was encouraged by Scott to pursue in a direct and thoughtful manner an idea that I had to create an adventure-based therapy to accompany our already dynamic treatment model. It worked! I left Serenity for the coast of Maine and continued to work with Scott as a coach. I thought out a plan to return to school and find a way to couple my life skills with my interests. I am now a BSN, RN, and glad to have worked with a coach like Scott. I met with Scott for a FREE 30 minute conversation. In that time I opened up about my life goals, relationship and family as well as my job. Scott was very professional in not offering an opinion. He restated a few things back to me, asked if he had that right. He helped me compare what I was saying to what I was doing. While I did not decide on doing coaching with Scott ( or anybody for that matter), The awareness I gained in that 30 minutes was much appreciated. I would recommend Scott to anyone needing awareness and solutions to anything from life issues, relationships, jobs and more. Scott has training in many areas and is able to use all that knowledge to help on an individual level. When I hired Scott I was working a full time job while trying to grow my own business. Scott helped me to transition from an employee to a business owner. During my 4 months working with Scott, I quit my old “job” in a manner which not only maintained but actually cultivated the relationship with my old employer and I started running my business like a business. I learned how to be effective in communicating with referral sources so I could get the business I wanted and not just the business that came my way. I even started using QuickBooks – with Scott, a QuickBooks Pro-Advisor, tutoring me along the way. So if you are tired of working for someone else and want a strong foundation to work for yourself, give Scott a call. He can help you develop as an entrepreneur. I hired Scott Graham because I was struggling with a career choice that was quite simply not the right choice for me. Against all of my better judgment after college, I decided to take a career in a field I knew I was not passionate about and maintained that career for nearly 7 years. I was making incredible money and I was comfortable in that mode. However, not even one year after being married, my husband and I were at odds with each other, I was depressed and unmotivated, I had gained weight, I had no hobbies; plainly put, I was miserable. I was in such a bad way that I had to swallow my pride and reach out. I can confidently say that hiring Scott Graham was one of the single best decisions I have made for myself in my entire life. Scott Graham is not a therapist or a psychiatrist - he is a coach. He will not insist that you have a disorder of some kind, he will not prescribe you medication, he will not make you feel like a patient with a number instead of a name. He will only guide you. He caters his coaching sessions to any format you desire. Scott has this uncanny ability to read between the lines and really get to the nitty gritty of what you are trying to articulate. He gives valuable insight that you will not get from family and friends who are often biased and say what they think you want to hear. He will push you to find your own answers and do it in such a subtle manner that you will not feel rushed or as if you are coming to conclusions that are not your own. Furthermore, when you talk to Scott, it is clear that you are talking to a true professional who has years of experience in his practice. What is as equally impressive as his resume and long list of testimonials is that he fiercely and unquestionably believes in what he does and believes in you and your ability to be a happy, successful, complete person. You will see, hear, and feel this from the moment you speak with him. He is completely dedicated to you and the coaching process. The proof of my success working with Scott is that I have had numerous people in my life, important people in my life, comment that I am a changed and more positive person with incredible, newfound energy. My husband has even said that our marriage has improved because of the tremendous work I did with Scott to find myself again. It is for all of these reasons that Scott has been able to help me in ways that I would not have thought possible. So, if you have made it to the end of this testimonial, I encourage you to look no further, pick up the phone, call Scott, and start to tackle the things in your life that are holding you back from being the best you can be. When you are done working with Scott, I have no doubt in my mind that you will be in place where you feel happy, grateful, fulfilled, and ready to move forward and enjoy your life knowing you have the tools to be successful in all of it! I worked with Scott in a Mastermind group around the book "Overcoming Underearning". I can't say enough about the experience and what I gained from only 8 weeks. We did have "homework" and a discussion board to post to in between calls, which added a tremendous amount of value and time savings on our calls. I went into the group feeling stuck in my business, but resisted thinking that I was an "underearner". Boy was I wrong. Scott is a master at listening and picking up on the key ideas expressed to then give clear and focused feedback to the group or the individual. He "hits the nail on the head" every time. I will be working with Scott again and would highly recommend him to anyone who has the desire and is willing to put in the time to get your business moving forward toward a thriving business you can't wait to tell others about. When I first considered joining the Mastermind Group I found myself wondering about the cost. Eighty dollars, while not a lot of money, seemed out-of-place for what one would expect for a typical book group at Borders. Then I discovered that what Scott Graham offers business professionals is not your “typical” book group. While we do have a book as a reference point, each of us, through Scott’s guidance and coaching work hard to challenge each other to identify and achieve goals, while supporting each other with total honesty, respect and compassion. Scott has transformed us from strangers to supportive colleagues, from indifferent readers looking for a “book club” to catalysts looking for personal and professional growth. 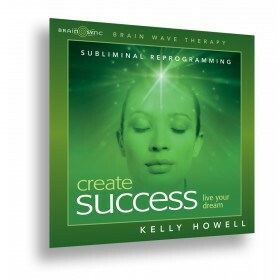 You often find this type of development in programs costing eight hundred dollars a day at some exclusive resort and not for eighty dollars tucked away in a corner at your local Borders bookstore. What a deal! I am the Manager of the Lebanon Airport, a service that is funded with taxpayer dollars in the Town of Lebanon, NH. Because of this, my position is politically charged, with a high potential for people's personal opinion of the Town or taxes spilling over to how they perceive me as the Airport Manager. So when Scott approached me about the DiSC 363® for Leaders survey from Inscape Publishing, I was concerned that people's opinions on things other than me and my leadership as Airport Manager would come through in the feedback. I had heard that often in 360 degree feedback efforts, people can come loaded for bear. My worries were for nothing. DiSC 363 uses this comment system that prevents loaded snarky comments from finding their way into the survey. I got balanced, constructive feedback that was very helpful to my work. After I completed my self-evaluation and other people I interact with did their evaluation, Scott debriefed the results. If you are concerned like I was about doing some sort of 360 degree assessment -- concerned that the results and feedback might be tainted by things other than your performance as a leader -- contact Coach Scott Graham. He has the tools and the skills to deliver a rich, deep 360 degree experience. I was skeptical when a friend recommended hiring Scott to help me with my freelance writing business (I wasn't even sure what a career coach was). In the six months I've worked with Scott, I've: developed short and long-term goals for my business; identified my unique skills and successfully communicated them to potential clients; and started building a "brand" via social media (Scott's a technology whiz, by the way). No matter what your profession or goals, Scott can help you do more and take you farther than you thought possible (and he even offers a money-back guarantee). I lined up two new clients in the time we've started working together. I have been an active participant in the Mastermind Group at Borders that Scott facilitates each Tuesday morning for an hour. I have read seven or eight books with the group since joining the group a few years ago. But, as I have said many times to new people who have joined the Mastermind Group: it is not about the book. It is not even about the coaching (though we get a fair amount of that from Scott). It is about the people in the group. People, who, through Scott’s efforts, support and encourage each other. People, who, through Scott’s efforts, challenge each other. People, who, through Scott’s efforts, hold each other accountable. I have seen people come and go from the group in my time as a participant and with each new incarnation, I have seen Scott work to help this “new” group develop the skills and courage to do the work so critical in a helping mastermind participants achieve success. Posting our work via private FB group and answering questions weekly and seeing what others were doing was very beneficial and I loved the people on the group. Scott was able to draw out our challenges and our strengths. He is focused and really listens to us as individuals. I had continuous breakthroughs about my financial chaos and have been able to let go of the stress. I feel more accountable to my future. This type of coaching is great for those truly wanting to identify where they are stuck and then get "un-stuck" to move forward in life, in business and in relationships! Some might consider it foolhardy to start a business, let alone open a restaurant, in the middle of an economic recession. But I had confidence -- not only in myself and my business partner -- but with a business coach like Scott by my side I knew I would not go awry in business decisions. I can't tell you how many times I heard Scott challenge us to not only develop a business and market plan but to integrate it as part of our daily business practice and not just file it away and leave it on the shelf to collect dust as so many businesses do. Today everything we do or buy has to have a written plan with a specific, measurable projected ROI or we don't do it. And if we decide, based on the plan, to take action or to buy advertisement or a product we evaluate the ROI and if it doesn't meet our expectations we won't do it again. Through work Scott has done with key staff, we now have systems in place for everything from inventory management to financial data to employee supervision. Through Scott's leadership we have a core reading list for all new managers including "How to Win Friends and Influence People", "The Situational Leader", "The Emyth Revisited", and "Essentials of Finance & Accounting for Nonfinancial Managers." A year ago I would have described myself as a restaurant owner. Today I describe myself as a business owner whose current focus happens to be a restaurant. Thanks, Scott! If you are even thinking of starting a business, get a business coach -- and not just someone who claims to be a business coach because of some weekend course they took for $500.00 -- ask to see a copy of their University / College GRADUATE SCHOOL diploma -- if you don't see the word BUSINESS or MANAGEMENT in their degree, run away! Or you could just hire Scott Graham. I worked with Scott Graham based on a recommendation from my employer, in the hope of gaining greater insight into navigating the intimidating (for a new counselor) waters of transference, counter transference and my own struggles with perfectionism. Scott proved to be an authentic godsend for me. The first thing I learned about working with Scott - and learned quickly - was to NEVER ask a question unless I could demonstrate that I had first sought the answer elsewhere, on my own. Scott truly practices the adage that "giving someone the answer denies them the chance to learn for themselves." As a counselor this truism is critically important; as a human being it is essential. I learned to appreciate Scott’s questions more than I would his observations. Scott was able to bring to bear a wonderful combination of an obviously talented past life as a counselor with sharp insight into the challenges of surviving in the workplace. His questions were always insightful, without a hint of judgment. What I also came to appreciate is that Scott genuinely enjoys celebrating with me those occasional "Ah ha!" moments when the insight to which he has guided me pops up and smacks me in the forehead. There is never any sense of "It's about time," or "I knew you'd get there eventually." Just a shared sense of satisfaction that the process was working. I was also impressed that Scott never brought his own agenda or timetable to our work. Yes, we developed a plan for our work at the outset (and even that process proved informative for me), but that plan was a very loose tether in Scott's hands. He was wise enough to know that our time would sometimes meander in its own direction out of some need that would eventually show itself, and then be addressed. There was never any sense of hitting targets or goals according to a schedule; it truly seemed more about the journey than the destination. In short, I would recommend Scott Graham highly to anyone trying to work through personal or work-related challenges, in the short-term or as part of a lifelong process. Working with Scott is a process of supported exploration and discovery. When I started coaching with Scott I couldn't imagine that I would reach the goals that brought me to coaching in the first place. I didn't think that success was even possible. But as a 4-time All-American, I knew how a coach could help you gain an edge ­the accountability, the homework, the action plans. It's the little changes here and there that make a difference; it's keeping you inspired and motivated; it's really owning it; when you set goals with a supportive persistent coach like Scott. Plus, as a coach myself, I received so many tools that helped me with my athletes, including what is important and how to set a better tone with my team. Thanks to Scott's support, inspiration, and wisdom, I have become a more relaxed, positive person. I have learned to slow down and make time for the important things in life---family and friends (relationships, love), and health and well being. I have been a manager for a number of years but I recently joined a new management team at Applebee’s. Besides myself there was also a new manager to the team. I was trying to figure out what this day was going to consist of: holding hands around a campfire while singing, playing leapfrog, having a round table discussion, I didn’t know what to expect. Then I found out that we were going to be doing team building activities. Needless to say I was a little skeptical. How could a few activities show us how to trust each other, help with communication, or even dare I say it work better as a team? During these activities there were many thoughts going through my head. Mainly, is he serious? Scott Graham described each task individually and as he did so he tried to convince us that this task is going to be easy. Then right when we were ready to start he stopped us and threw a twist in to make it more complicated. After each activity I had a sense of accomplishment. Just knowing that something you thought to be impossible to do becomes possible. It only seemed impossible because I thought about these activities and doing them alone, but with my fellow managers it was simple. Finishing all those activities that we all thought were impossible, now that’s a feeling that I can not put into words. Through Scott’s carefully constructed program our management team was able to accomplish every activity and learn specific things about each other. By the end we learned everything that Scott promised us we would. We learned how important communication is, how to work efficiently with each other, and how to trust each other. I strongly recommend that every team that works together on a daily basis should go through Scott’s program. It was the most beneficial management course that I have ever taken. I joined the Mastermind Group in February, 2009, with the goal of increasing my sales. Scott has helped me reach my sales goals by many different ways. He has given me ideas of how I work with people, and how I resolve challenges that come up. The Mastermind group has two components. The book is completely gone through, and we see how ideas in the book can help us reach our goals. We set our own life goals, family goals, career goals, business goals, etc., separate from the book. If you are not working with someone who asks you how you are doing with your goals, you could be doing more with your life, by investing a small dollar amount with Scott. Scott has helped me with a number of different situations. He helps with enthusiasm, and an abundance of knowledge, and a great deal of patients. If you say you want to accomplish ANYTHING, Scott is off and running- right next to you- motivating- inspiring- giving you encouragement- caring- all the way! He listens, supports, and is like a bumble bee buzzing around you until you continue moving forward with your goals. I would recommend Scott highly. He helps his clients accomplish great results due to his deep knowledge and out of the box thinking. I have not only worked with him myself but have had him work with other family members and clients. Scott is the real thing! Scott’s help was instrumental in helping me retain a client. Accounting terminology can be very confusing and reading Profit and Loss or Balance Sheets is no picnic either for many small business owners. What was pleasantly surprising is Scott’s ability to explain and interpret the data on those reports to my client in a simple, clear and pragmatic way – a result of his decades working as a professional counselor. Scott is an effective communicator who builds understanding, involvement and action for his clients. Scott knowledge and years of experience make him an asset to any business. I had the pleasure of working with Scott when I was a counselor at Recovery House Inc., and he was the external Clinical Supervisor. Scott was thorough, challenging, innovative, and fun. He is a great conversationalist, as well as a good listener. As you can see by his list of accomplishments and affiliations, he covers a broad spectrum. His insight was particularly helpful in the forum in which we worked. I would highly recommend the DISC assessment. It is simple, relatively easy to understand and appears to be valid and reliable without being intrusive. I have done the MMPI which offers some insights into personality characteristics, the Meyers-Briggs and other assessments that are considered to have been thoroughly normed and tested for reliability both with clients and for my own information. They take considerably more time and questions may be considered more intrusive at least on some items. Additionally, items are not clearly focused on one's work persona. The DISC, however, IS clearly focused on how one approaches the work environment - words that best and least describe how the participant would describe him/herself at work. The items are easy to understand and have the added benefit of the availability of definitions to assist the participant in clearly understanding the terms. A forced choice makes it necessary for the participant to decide between two terms before going on to the next item which prompts thoughtful responses. However, as with any instrument, the results tell the tale. Just to be sure I also went on line and did a short version of the Meyers-Briggs again, got a report and compared it with the DISC. The two reports were very close although they used different terminology. I would add that other assessments are more expensive. Usually, it would be a good thing for a participant to learn something new from taking an instrument of this kind. In this case, it is good for me not to learn much that is new because it tells me that this instrument is highly reliable. What I did learn from the actual report were in terms of the upside and the downside of each of the dimensions. In other words, instead of only getting a report about various dimensions DISC provides a statement of a strength and then ways in which this strength may not be helpful in the work situation. "You may find that your best ideas come in a burst of inspiration and activity ... However, when you have to work within a predictable routine or set system, you may find these limitations frustrating"
This is most helpful in terms of understanding how one can make choices about working from a strength and to set limits for doing so when it is needed. Coaching has been some of the best money I have spent in the past year. Working intensely in a one-on-one relationship with a coach has helped me define my goals, set priorities, change old habits, and accomplish things that seemed like distant desires. Scott wakes you up... in a great way! Scott is a highly skilled and thorough Coach, who is able to apply his many talents to a range of life areas. From clinical supervision to individual coaching or group facilitation, he adapts to the needs presented and has the vision to not only devlop a path to sought-for outcomes, but do it in a way which empowers others to follow his guidance on the path. Scott has helped me over the years by helping me to achieve my short term goals and my long term goals. Even when I thought I could not do it, Scott came up with ideas and tecnicques that would help me move towards that goal. He helped me pass my CADC oral exam with a 95%. He has helped me elaborate and improve on I my record keeping, such as ASI, s-9 grid, treatment plan, and discharge summarry. He always comes up with ideas that I would have never have sought about on my own. He is also a people person, which makes it enjoyable to work with him. He is very knowledgable in what he teaches. Scott worked with me to find my own solutions to the challenges I face. His perspective was just what I needed, yet I trusted him to look out for my best interest. He has helped me set goals and establish a path toward success. He also provided valuable accountability in areas of my life that I needed most. I found working with Scott to be a very positive experience that I would recommend to anyone wishing to live a fuller life. I was a member of a book club that was led by Scott. I joined his book club to sort out my personal priorities/life goals and I was just hired to a new job position which has improved hours. This position will allow me to accomplish my personal goals and make the necessary changes in my life. The exchange of information/ideas with the club members helped me to make the necessary change to a new job position. I will begin in my new position in late January and I am greatful to have had the short time with Scott and his book club members. I know Scott from a number of different projects/events. I find him to be very intelligent and he has an abundance of enthusiasm. He also will apply various approaches as the situation requires and has the skill and experience to do this. Scott is a people person and very good and motivating and inspiring. If you have the chance to work with Scott I know that you will enjoy it and benefit from it. Scott provides the direction and positive reinforcement you need to get you where you want to go in your career while you build the roads and bridges to get there!